Who should not take Ketoprofen? If you are taking the over-the-counter product, read all directions on the product package before taking this medication. If your doctor has prescribed this medication, read the Medication Guide and, if available, the Patient Information Leaflet provided by your pharmacist before you start taking ketoprofen and each time you get a refill. If you have any questions, ask your doctor or pharmacist. Take this medication by mouth, usually 3 to 4 times a day with a full glass of water (8 ounces or 240 milliliters), or as directed by your doctor. Do not lie down for at least 10 minutes after taking this drug. If stomach upset occurs while taking this medication, take it with food, milk, or an antacid. Dosage is based on your medical condition and response to treatment. To reduce your risk of stomach bleeding and other side effects, take this medication at the lowest effective dose for the shortest possible time. Do not increase your dose, take it more frequently, or take it for a longer time than prescribed. Do not take the over-the-counter product for more than 10 days unless otherwise directed. For ongoing conditions such as arthritis, continue taking this medication as directed by your doctor. Discuss the risks and benefits with your doctor or pharmacist. If your condition worsens, if you develop new symptoms, or if you think you may have a serious medical problem, seek immediate medical attention. What conditions does Ketoprofen treat? List Ketoprofen side effects by likelihood and severity. Kidney problems can sometimes occur with the use of NSAID medications, including ketoprofen. Problems are more likely to occur if you are dehydrated, have heart failure or kidney disease, are an older adult, or if you take certain medications (see also Drug Interactions section). Drink plenty of fluids as directed by your doctor to prevent dehydration and tell your doctor right away if you have any unusual change in the amount of urine. What should I know regarding pregnancy, nursing and administering Ketoprofen to children or the elderly? Some products that may interact with this drug include: aliskiren, ACE inhibitors (such as captopril, lisinopril), angiotensin II receptor blockers (such as losartan, valsartan), lithium, methotrexate, corticosteroids (such as prednisone), other medications that may affect the kidneys (including cidofovir, "water pills"/diuretics such as furosemide, hydrochlorothiazide, triamterene). Does Ketoprofen interact with other medications? 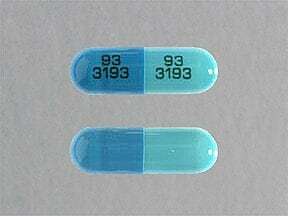 This medicine is a light blue blue, oblong, capsule imprinted with "93 3193" and "93 3193". 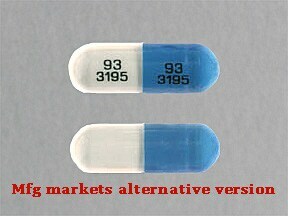 This medicine is a white blue, oblong, capsule imprinted with "93 3195" and "93 3195". 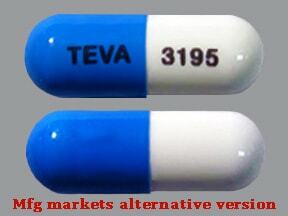 This medicine is a white blue, oblong, capsule imprinted with "TEVA" and "3195". 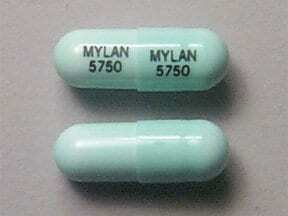 This medicine is a light aqua, oblong, capsule imprinted with "MYLAN 5750" and "MYLAN 5750". 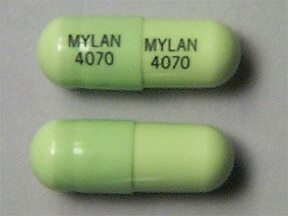 This medicine is a light celery, oblong, capsule imprinted with "MYLAN 4070" and "MYLAN 4070". Are you considering switching to Ketoprofen? How long have you been taking Ketoprofen?